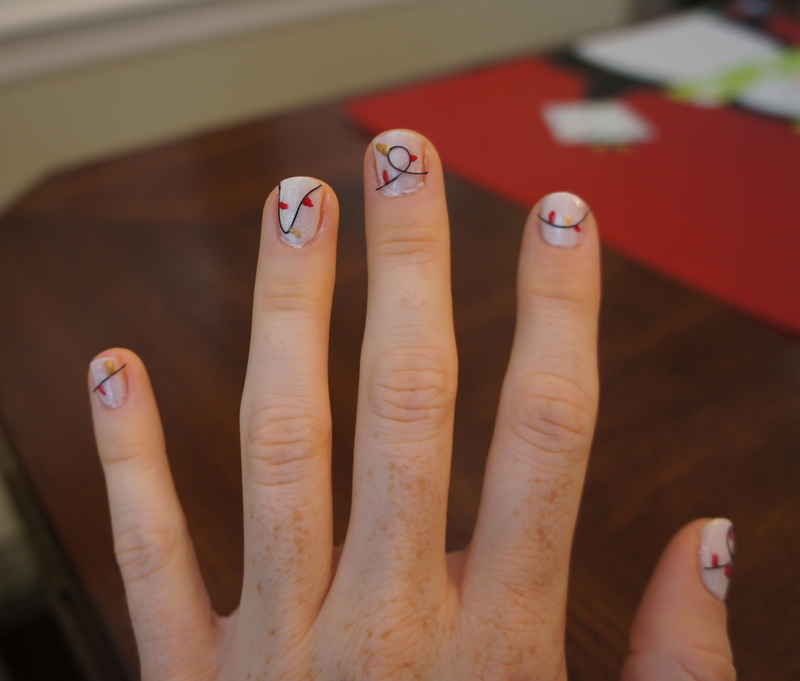 When I saw this nail art idea on The Beauty Department I knew I had to attempt it, for one reason alone. 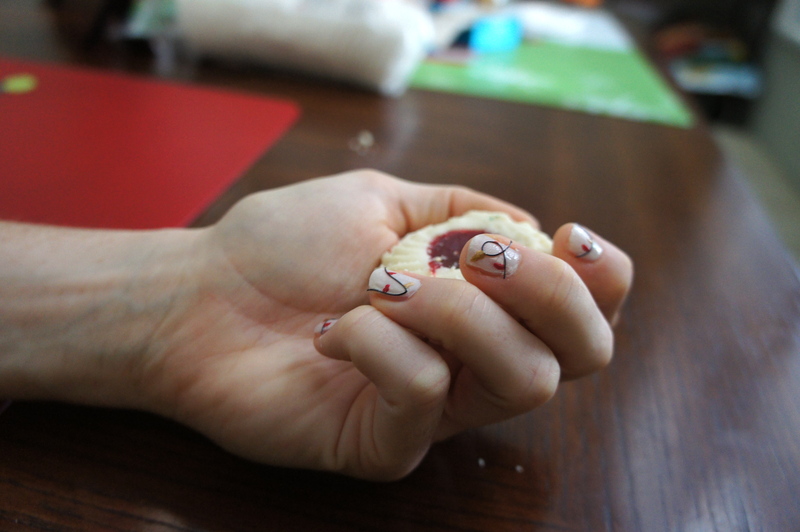 Great nails would distract others from noticing how many cookies I’m eating. 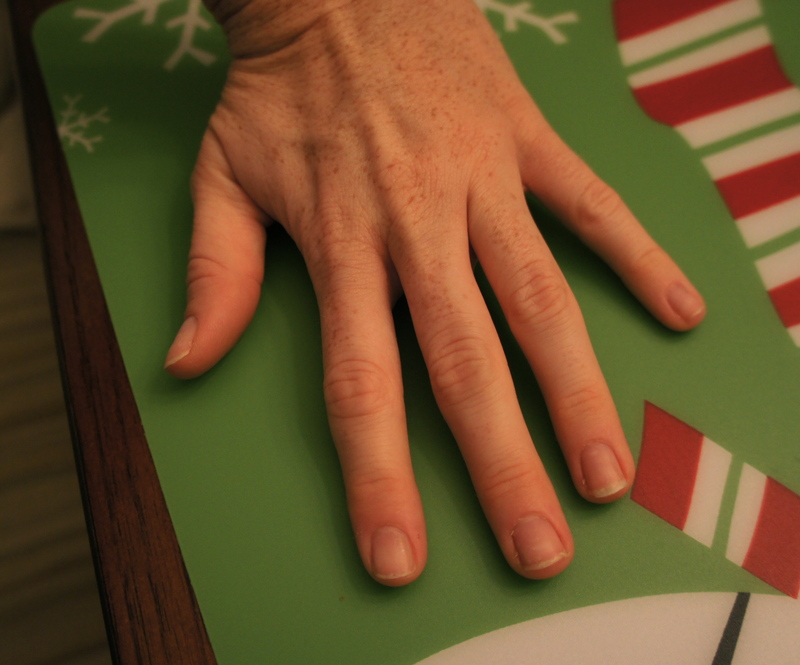 Instead of focusing on my plate, they would look at my nails. It really wasn’t that hard– but once again requires a patience I have a difficult time exhibiting. 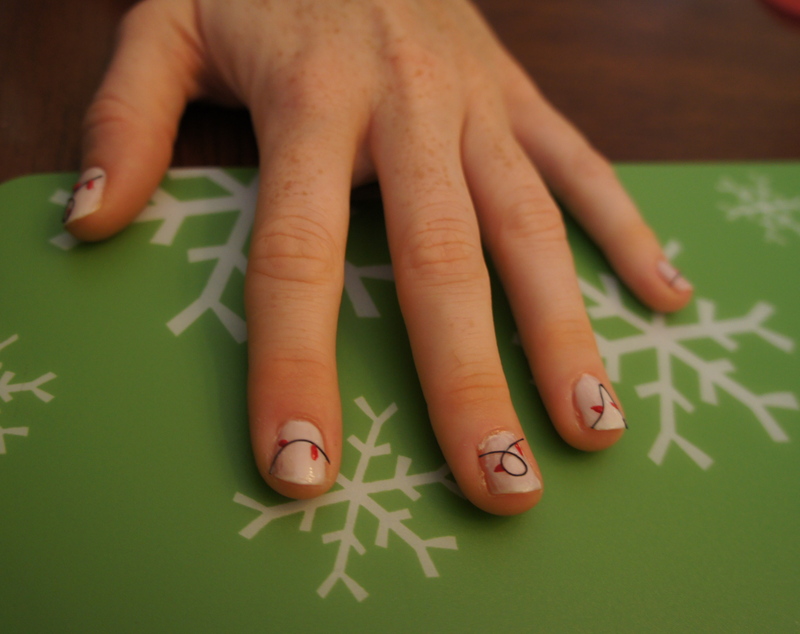 Only my left hand is decorated. Sorry, could not bring myself to do both. Paint two coats of white polish. 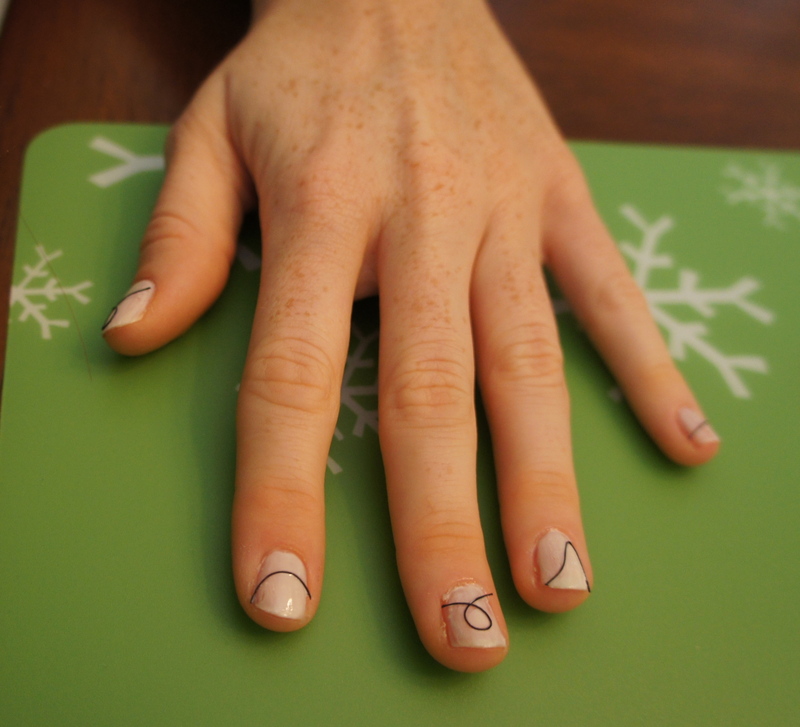 I used Baby’s Breath from Essie. Now, the “fun” part. Paint one coat of clear polish on nails. Immediately adhere black thread to nails. 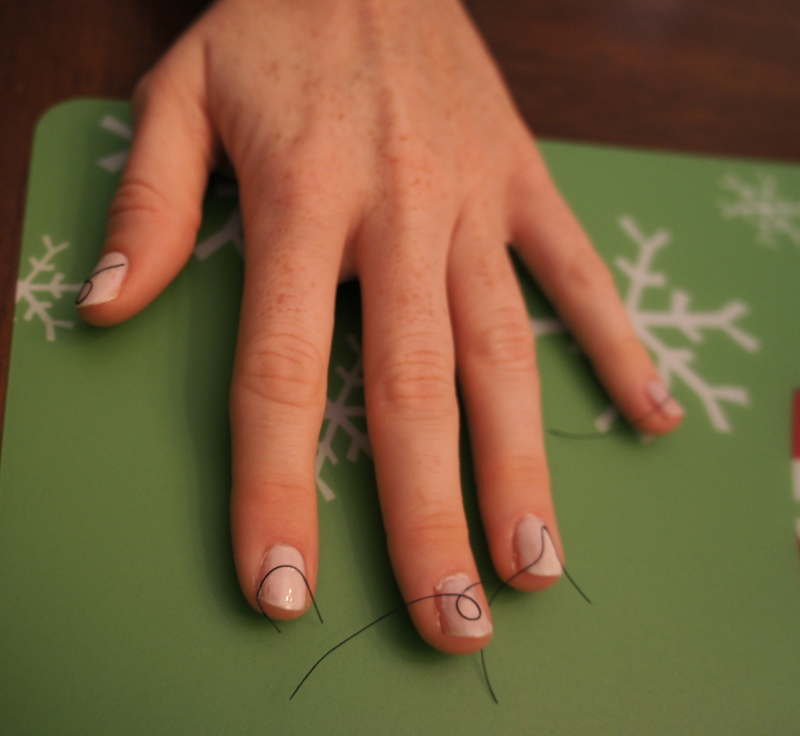 Leave excess string on each side of the nail. Try your hardest to allow them to dry fully. Paint with another coat of clear. Once dry, trim using cuticle cutters or small scissors. For the lights, they recommend a small brush or pointed q-tip. I had neither so I used a toothpick. Lastly, paint with another coat of clear. And there you have it! Adorable nails. Let’s hope they do their job. I’m baking cookies tonight.